Intimate relationships with artworks invite us into the artist’s world, in which we are all equal. As intimacy is essential for communication in human society, this experience is also very important for communicating and connecting with modern art; it is the intimate relationship between art appreciators and the artworks themselves that encourages viewers to think about the concepts and philosophy behind a piece. In The Phillips Collection, a personal connection with the art is provoked by the special environment—intimate, immersive rooms. The museum also has two permanent installations which are significantly smaller than other galleries—the Rothko Room and the Laib Wax Room. Because these installations are set apart from the rest of the galleries—rooms entirely designed or created by the artists themselves—they evoke a unique sense of other-worldliness. Upon stepping inside, we feel the artworks and the artists with all of our senses, as if we know them very well, regardless of how much we know about the artists’ lives. This experience allows us to feel as if we are isolated from the real world and invited to the world of the artists. As a native of Japan, I find the experience of the Rothko Room and Laib Wax Room similar to that of a Japanese traditional small tea room. While not all Japanese tea rooms are small, some are deliberately so, for other-worldliness is the basic concept of the design. Additionally, it is interesting to note that the rooms are small in order to make people confront the tea, the teamaker, and the ritual behind creating and drinking it. The smallness of the rooms creates an intimate relationship between people and their tea. There are also similarities in atmosphere. When a tea ceremony takes place in the small tea rooms, tension floats among the participants, which gives the ceremony a ritualistic feeling. 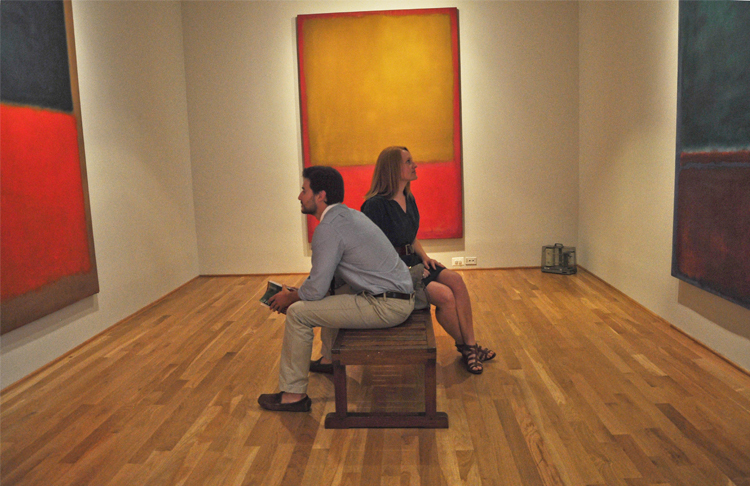 This distinctive atmosphere can be also experienced in the Rothko Room and the Laib Wax Room by virtue of the closeness and the visual perception of the environments, which remind me of churches or the tombs of ancient Egypt. The solemn atmosphere often makes me both interested and hesitant to enter. My footsteps slowed as I entered these rooms—I would describe the experience as a feeling of awe. However, there is a difference between the Rothko and Laib Wax Rooms and Japanese tea rooms; the size of the entrances. Doorways into tea rooms are so small that most people need to stoop down to get in, requiring each person to bend his or her head as if bowing. As you may know, the act of bowing is the traditional Japanese way of showing respect. Performing this act upon entering shows that social class is not valid in the tea ceremony; everyone enters as equals. 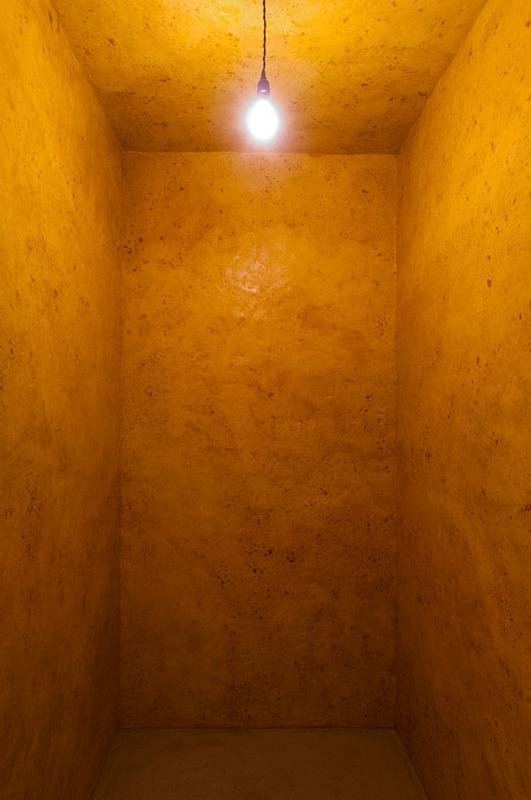 Although the entrances of the Rothko and Laib Wax Rooms are of normal size, the same idea can be applied. Social status has no use in these artists’ worlds, as we are isolated from the real world.